To a greater or lesser extent all photography is about time and light. A long exposure can make turn something ordinary into a softly unfamiliar image; a short exposure can freeze a moment in time giving a picture the naked eye could never isolate. 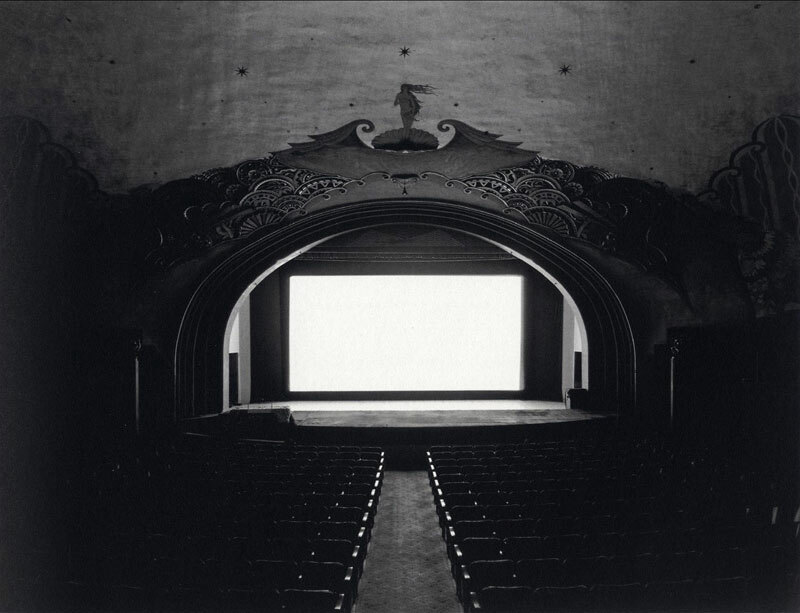 For Hiroshi Sugimoto the duration of a photograph is often determined by its subject. In the series In the Praise of a Shadow all the light given out by candle is recorded in a single image; Sugimoto describes this as recoding ‘the life of a candle‘. In the series Theaters, Sugimoto records every frame of the film on show in the cinema he is in. This series, which he started in 1978, offers extraordinary images of the silver screen as pure white; the whole film is here but in a way that can no longer be broken down into its constituent parts. I think what I love about this work – apart from the beauty of the pictures, that part goes without saying – is the potential somehow contained within them. Each cinema is a film; each candle is a candlelit evening. 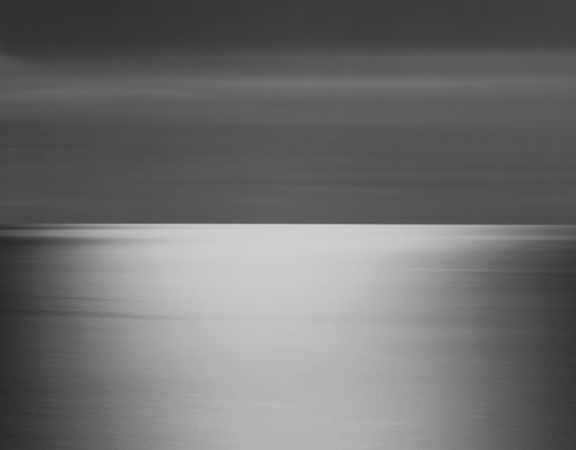 Perhaps the simplest, and in some ways the most beautiful, of Sugimoto’s pictures are his seascapes. Here the sea is tamed by the process of recording it. Though some pictures in this series are made using short exposures, allowing the waves to be visible, many are long exposures in which the power of the sea is neutralised by the time taken to record it. Sea and sky are abstracted into shades of grey divided by a perfect horizon. This entry was posted in Photography and tagged abstract, art, candles, cinema, Hiroshi Sugimoto, In the Praise of Shadow, ocean, photography, seascapes, Theaters by Ann Jones. Bookmark the permalink.